Ana Merino has published seven books of poetry Preparativos para un viaje (Rialp, 1995) winner of the 1994 Adonais Award, Los días gemelos (Visor, 1997), La voz de los relojes (Visor, 2000), Juegos de niños (Visor, 2003) winner of the Fray Luis de León Award, translated into English as Child’s Play (Harbor Mountain Press, 2012), Compañera de celda (Visor, 2006), translated into English as Cell Mate (Harbor Mountain Press, 2007), Curación (Visor, 2010) and the poems book for childrens Hagamos caso al tigre (Anaya, 2012). An anthology of her poetry has been translated into German and published by Teamart Verlag (Zurich, 2009). She is also the author of a novel for young readers, El hombre de los dos corazones (Anaya, 2009). Her poems have been included in more than twenty collections, some of them translated into Portuguese, Slovenian, French, Dutch, Bulgarian or Italian. Merino also writes about Comics and Graphic Novels Criticism: El comic hispánico (Cátedra, 2003) and Chris Ware, la secuencia circular (Sinsentido, 2005). She was awarded the Diario de Avisos Award for best critical short articles about comics for the Spanish literary magazine Leer. Ana Merino is the Director of the MFA in Spanish Creative Writing and an Associate Professor in the Department of Spanish & Portuguese at the University of Iowa. Merino is a member of the Director Board for the Center for Cartoon Studies. 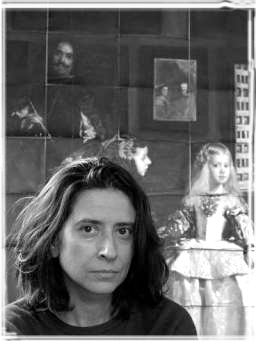 She has served as curator for four comics exhibitions, and wrote and directed her first play: “Amor: muy frágil” (Reino de Cordelia, 2013) that was premiere in Zurich in 2012 and travelled through different theaters in 2013 in Spanish and German. His latest work for young readers is Salvemos al elefante (Santillana, 2017), a story that invites us to fight for a better world.